Blinds for your windows are a popular and attractive method of enhancing the look of your home. They also offer an extremely cost-effective way of creating a great look for your home, reflecting your own likes and dislikes. When decorating, your chosen décor can influence several factors, especially when the time comes to sell. If you are considering putting your house on the market, we’re taking a close look at how you can add value to your property by installing Made to Measure Window Blinds in Wales. Making your home the way you want it is important and reflects your taste and style. Choosing wisely is vital especially in those rooms you use most for living and sharing with family and friends. Kitchens and Living rooms tend to be the two rooms which most reflect your décor choices and where you most want to make an impression. Cadwallader Blinds who supply across Wales offer a large selection of window blinds in various styles, designs, colours and fabrics. The investment for your high traffic rooms can be seen as furniture for your windows, making an impressive statement and therefore adding substantial value to your home, they also last the test of time, so they can be a great long-term investment. The two primary functions of curtains and Blinds in Wales are privacy and light control. When decorating your home to improve its look and feel, it’s important to take into consideration the purpose your blinds will serve, the room they will be in, colours, blackout lining options and energy saving properties as each decision can impact on your homes’ resale value. It is important also that you make the choice which best reflects your own personal taste and styles. Neutral colours generally show off properties to their best and provide a comfortable atmosphere in which to live and enjoy. Our Roller Blinds in Wales supplied by Cadwallader Blinds, are one of the simplest, yet most elegant and stylish designs available. They consist of a single piece of fabric that smoothly rolls up and down with a simple pull of the luxury sidewinder chain. We can supply a wide range of colours, sizes, and textures for you to choose from, you are sure to find a beautiful set of blinds to complement the rest of your décor. Our bespoke roller blinds are handmade to the highest quality standards, using only the finest British materials available, to meet your exact specifications. As a result, you can be sure that you’re investing in a luxury product that will give you years of satisfaction in your home. Cadwallader Window Blinds operating across Wales offer Vertical Blinds which are made up of elegant vertical louvres that can be rotated to let the exact amount of sunlight in or fully closed to provide privacy whilst also reducing glare. They can also be fully drawn to reveal the entire window, either gathering to one side or parting in the middle. Our luxurious handmade vertical blinds are handcrafted by craftsmen right here in the UK. We have an extensive range of colours, from warm or bright to neutral and muted tones. Our blinds are also available in a wide selection of fine fabrics and textures, giving you endless options to tailor the perfect set of blinds to your home, office or conservatory. There are also options for blackout and waterproof blinds, meaning your blinds can be both attractive and practical in all rooms in your home. Our bespoke Roman Blinds in Wales and available from Cadwallader Blinds are made from luxury designer fabrics to suit your taste. When you operate the chain at the side, they rise up vertically, collecting neatly into horizontal folds. Each individual roman blind is handmade to an extremely high standard in the UK, so you can be sure that you’re investing in a stunning product that will suit your needs and exceed your expectations. Cadwallader Blinds can supply a diverse range of fabulous colours, luxurious textures and high-quality fabrics, finding a style to complement your interior is now easier than ever. With the option to add blackout and energy saving lining, you can easily upgrade your blinds to be even more effective at blocking out the light, making them perfect for your bedroom or home office. Our Venetian Blinds in Wales comprise of horizontal louvres which can be raised to reveal the full window or rotated in situ to vary the amount of light. Whether it’s bright and colourful or subdued and neutral, you can be sure that you’ll find the perfect set. Our luxurious Venetian blinds are custom made here by UK craftsmen to your specifications. As they’re constructed from aluminium, not only are these blinds extremely sturdy, they’re also easy to clean, water-resistant and lightweight. Ideal for a bathroom or shower room. All your requirements can be found by talking to Cadwallader Blinds who operate across Wales. Our luxurious wooden Blinds in Wales are made up of horizontal louvres that can be rotated to let in varying amounts of light. They can also be raised to completely reveal your window. We have a large range of rich colours, exotic grains and fine quality stains, meaning that you can easily pick the perfect set to complement your room’s theme. Let us take the hassle out of finding what’s right for you by speaking to Cadwallader Blinds in Wales. Our made to measure wooden blinds are handcrafted by UK craftsmen to the highest of standards. This means that not only will your blinds form a beautiful and practical addition to your home or office, they’ll bring you joy for years to come. Our luxurious blackout Blinds in Wales excel at limiting the level of light, heat or cold entering a room, thanks to their dense thermally efficient backing material. With a stylish selection of blackout roller and vertical blinds as well as roman blinds with optional blackout lining, we have a huge variety of beautiful colours, textures, patterns and materials available to buy online. Each blackout blind is made to measure to your exact requirements. Blackout blinds are the perfect solution for any room that needs to be kept dark and cool, such as a living room, home office, bedroom or a baby’s nursery. For the kitchen or bathroom, we have some beautiful PVC and vinyl fabrics let us Cadwallader Blinds help you make the right choice. Our luxurious pleated Blinds in Wales offer a real modern dressing for your windows and are available in a whole variety of beautiful colours. They are sleek in look and easy to operate via a cord or a simple tab. With their special properties pleated blinds are excellent for controlling heat and glare in rooms and conservatories. Most Blinds available from us Cadwallader Blinds offer energy saving properties, privacy and function and it’s choosing the right style for your room’s purpose that ultimately boosts the look of your home. Revitalising both the interior and exterior can be what makes your property stand out from the rest and provides the family with a relaxing environment in which to live. Window Blinds also offer the perfect opportunity for you to improve and enhance the outlook of you home providing a living space that is not only functional but pleasing and comfortable to live in. There is a growing popularity to combine both curtains and blinds to exhibit the ultimate of decoration and function, giving homeowners more control over the light without sacrificing beauty. This combination can suit both worlds when indecisive about what way to go as it reduces excess light whilst improving the decorative qualities of your property. 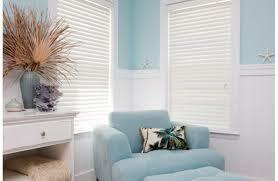 We offer our window Blinds in Wales at competitive prices with a no obligation free quote. As we are a family run business you can be sure we offer a personal and professional service from start to finish.